Meanwhile, here is some information about what fees are and how to challenge them. Fees are an amount of money you pay to the letting agency as a “service charge”. Letting agencies normally charge you “administration fees” for preparing your tenancy agreement, checking your references, making up the inventory, checks on guarantors, immigration or credit, and more. 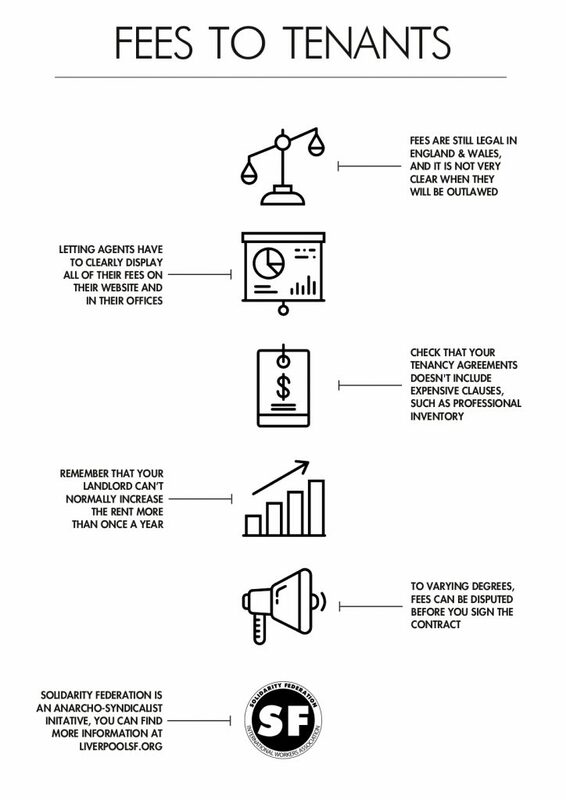 Usually, fees are paid at the beginning of the contract, but sometimes tenancy agreements include some clauses that may force you to pay expensive costs during your tenancy or at the end of the contract, such as having to pay to renew your contract, or for a professional inventory or a professional clean at the end of the contract. How can you challenge the fees? Letting agents should clearly display all of their fees on their website and in their offices. Often they don’t do this, so it’s worth asking for a breakdown of their fees early in the process. Their obligation to clearly display their fees was established by changes made in 2015 to the Consumer Rights Act. If agents do not publish all their fees, they can be fined up to £5000. To varying degrees, all of these fees can be disputed before you sign the contract. You can challenge these fees at whatever stage of the process you feel comfortable to; in our experience, it can sometimes be best to challenge them after you have paid your up front rent and deposit, and relatively close to, if not on, your moving in date. This way, the letting agent or landlord is then committed to you moving into the property, too. It’s not a great bargaining position, but it’s something. What if my letting agency wants to increase my rent? Probably, your landlord / letting agency will try to increase your rent in the coming months. In that case, you have to be aware that for a periodic tenancy your landlord can’t normally increase the rent more than once a year without your agreement. If you have a fixed-term tenancy your landlord can only increase the rent if you agree. If you don’t agree, the rent can only be increased when the fixed term ends.